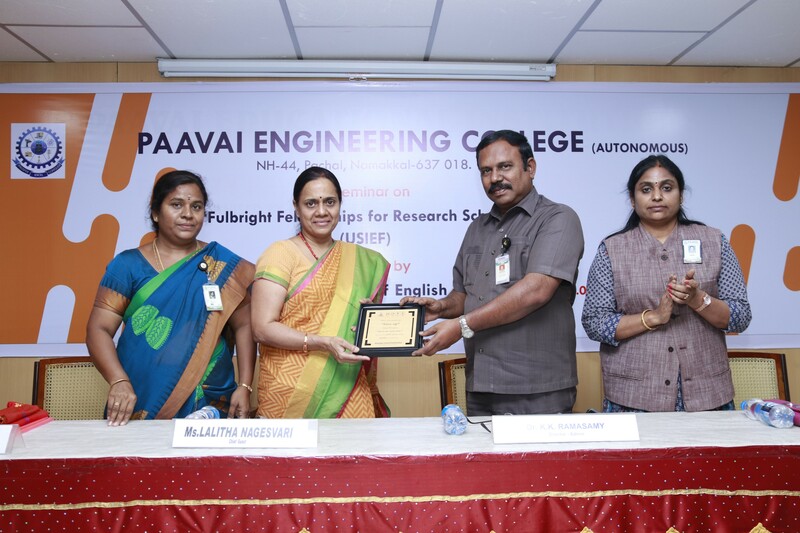 The department of English, Paavai Engineering College organized a seminar on Fulbright Fellowships for Research Scholars (USIEF) for Indian citizens on 15th February at 3.00pm in the Smart Hall. 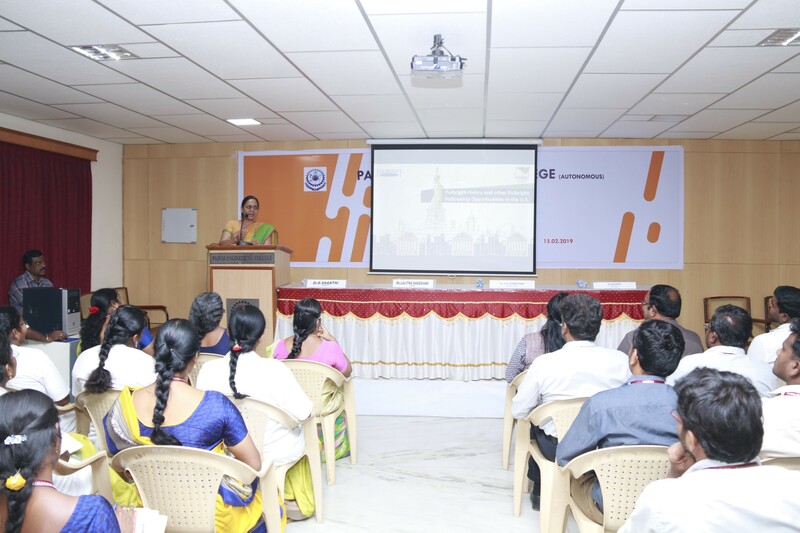 The seminar was conducted by Ms. Lalitha Nagevari, Program Manager, Fulbright Fellowships for Research Scholars.The seminar aimed at giving a full length scope of pursuing fellowship researches under the Indo-US educational exchange program. In her presentation, she clearly described about the fellowship courses in doctorate and post doctorate level in specified disciplines. All the necessary information in terms of eligibility, application procedure, selection process and stipend was focused in detail. Around 82 staff members took part in the seminar and they lively interacted with the resource person. The session was informative, inspiring and motivating. 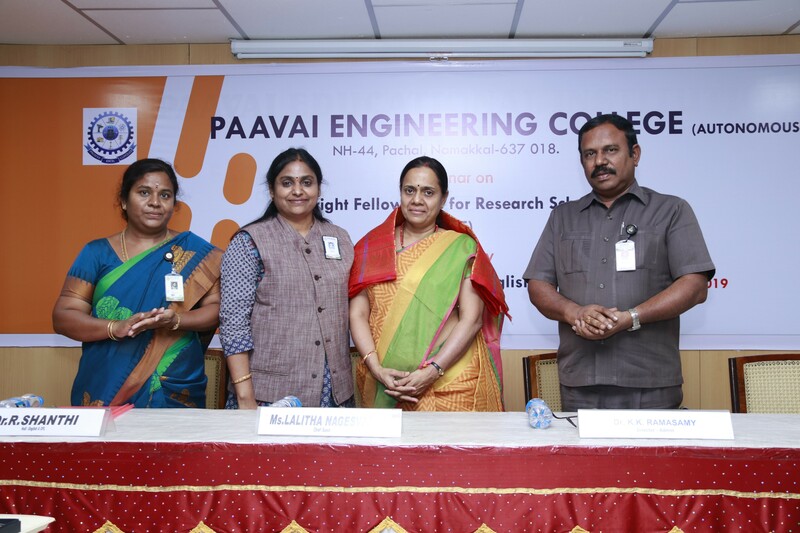 Dr.K.K.Ramasamy, Director-Adminisration, Paavai Institutions presided over the seminar. 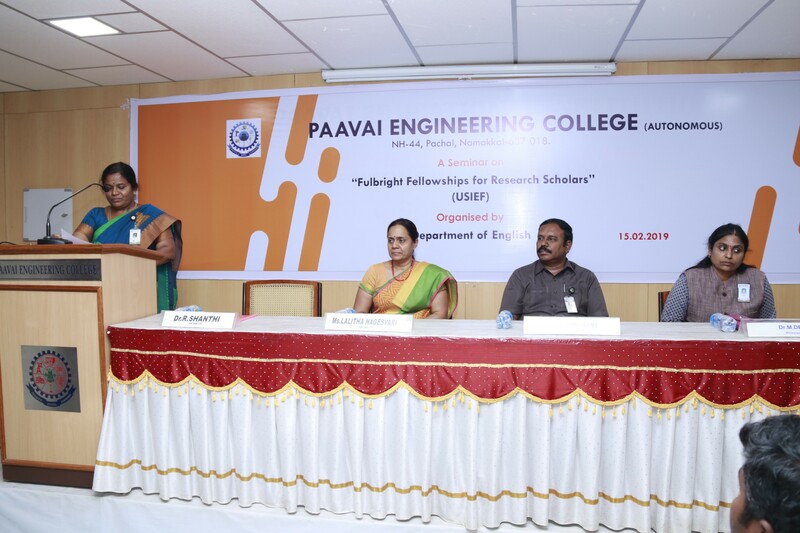 Dr.M.Devi, Principal ,Pavai College of Engineering felicitated the program. 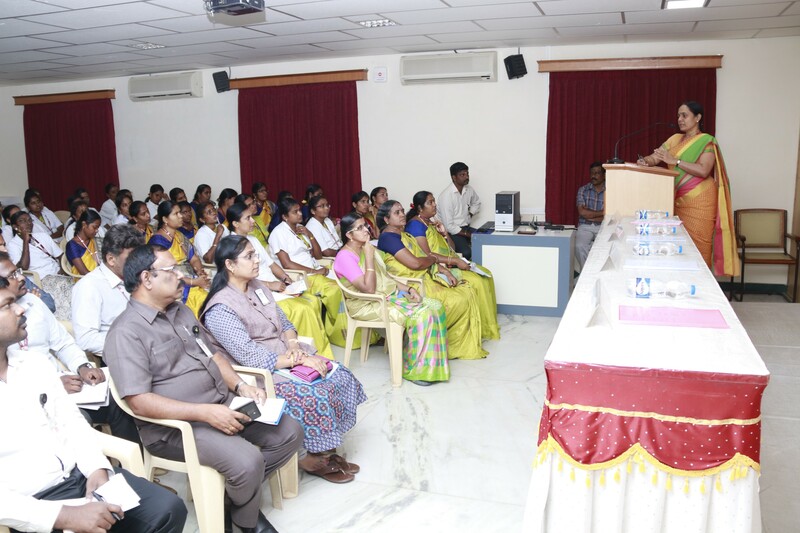 Dr.R.Shanthi, Head of English Department & CFL welcomed the chief guest and the gathering. Prof.G. Janakiraman,Assistant Professor /English rendered vote of thanks.